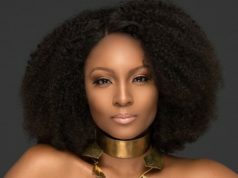 TINA Magazine will be presenting to you the beauty of the very Ancient Egypt! 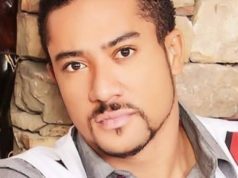 we know many Africans and foreigners have always dreamed of visiting the ‘sacred’ Egypt. Well, today we are showing some amazing locations to visit in Egypt. Egypt is a huge country linking North-east Africa to Asia. 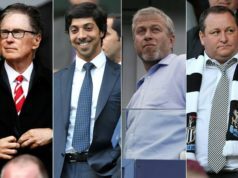 It is well-known around the world for the famous Pharaohs (rulers in ancient times). Egypt is an exciting destination, popular for numerous tombs and temples that date back to the ancient times. 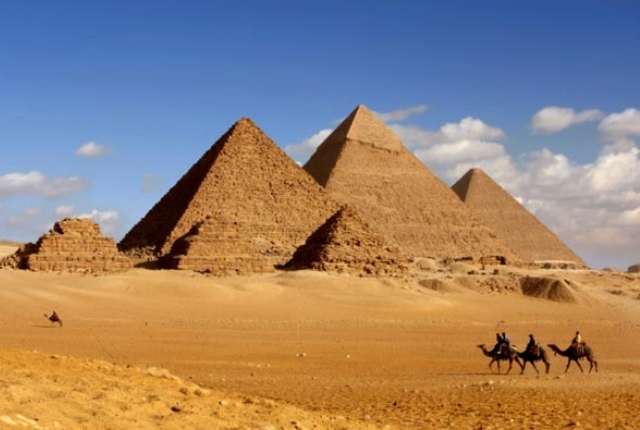 Some highly popular tourist spots in Egypt are Pyramids of Giza, Great Sphinx, Karnak temple and Valley of the Kings. 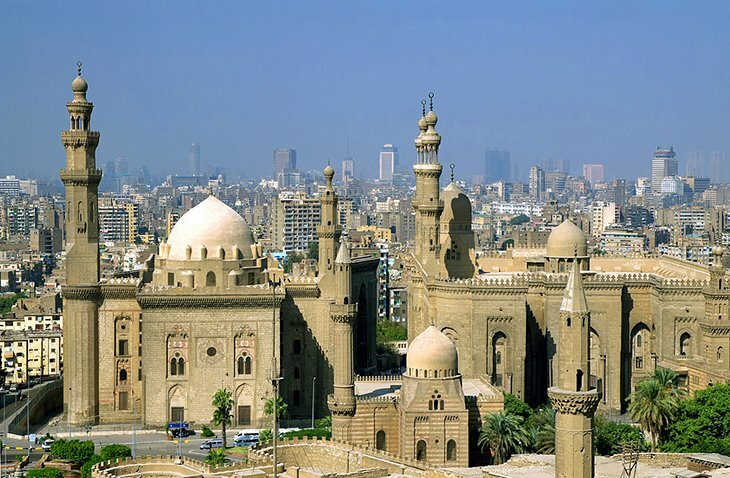 The capital city of Cairo is famous for Ottoman landmarks such as Egyptian Museum and Mohammad Ali Mosque. From vast expanses of desert, to the legendary river Nile, to scuba diving and other countless spots of archaeological significance, there’s something for all adventure lovers and those who seek eternal peace in Egypt! Home of the ancient Pharaohs, Egypt is a dazzling destination of temples and tombs that wow all who visit. It’s not all historic treasures though. 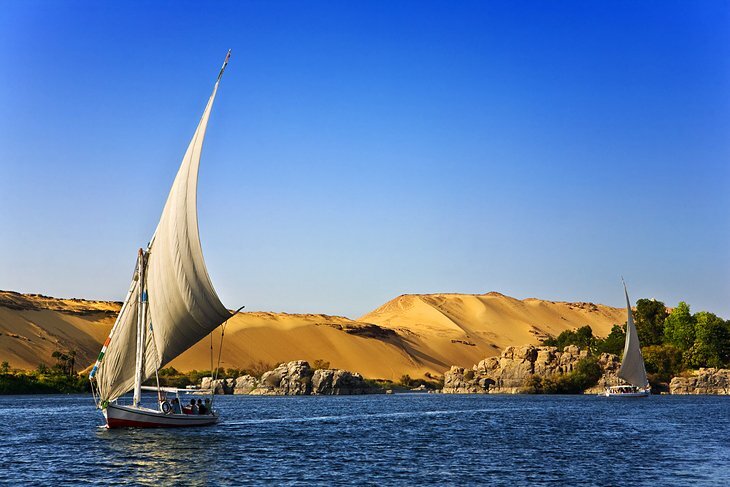 With vast tracts of desert, superb scuba diving, and the famed Nile River there’s something for everyone here. 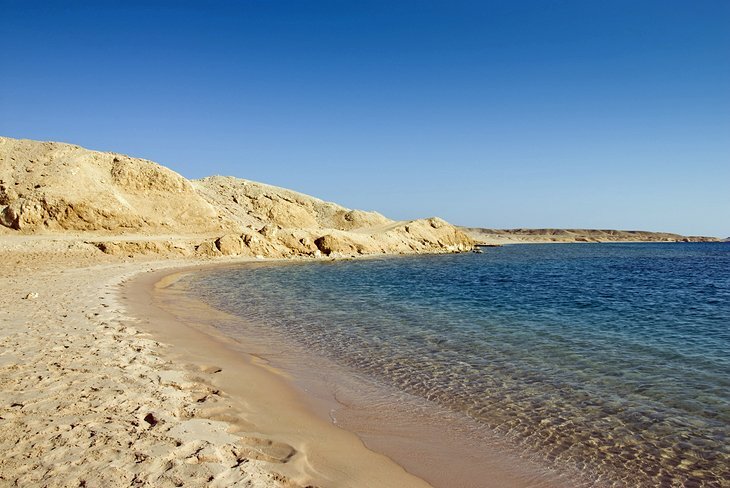 Beach lovers head to the Sinai to soak up the sun, while archaeology fans will have a field day in Luxor. Cairo is the megalopolis that can’t be beaten for city slickers, while Siwa oasis and the southern town of Aswan offer a slice of the slow pace of the countryside. Egypt has so much for travelers to see and do; it’s the perfect country for a mix of activities combining culture, adventure, and relaxation. 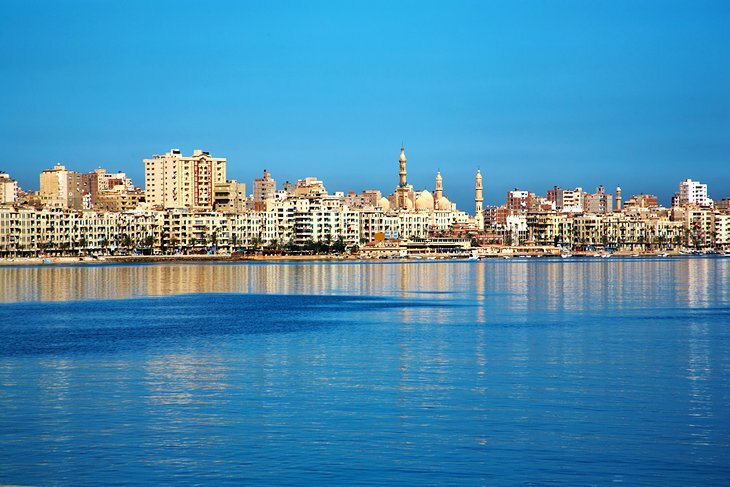 The most European of Egypt’s cities, Alexandria has a history that not many others can match. Founded by Alexander the Great, home of Cleopatra, and razzmatazz renegade city of the Mediterranean for much of its life, this seaside city has an appealing days-gone-by atmosphere that can’t be beaten. Although today, there are few historic remnants of its illustrious past – feted in songs and books – this is a place made for aimless strolling along the seashore Corniche, café-hopping, and souk shopping. Egypt’s most tranquil town is Aswan, set upon the winding curves of the Nile. Backed by orange-hued dunes this is the perfect place to stop and unwind for a few days and soak up the chilled-out atmosphere. Take the river ferry across to Elephantine Island and stroll the colorful streets of the Nubian villages. Ride a camel to the desert monastery of St. Simeon on the East Bank. Or just drink endless cups of tea on one of the riverboat restaurants, while watching the lateen-sailed feluccas drift past. There are plenty of historic sites here and numerous temples nearby, but one of Aswan’s biggest highlights is simply kicking back and watching the river life go by. The Aswan Dam is a beautiful Dam built on the Nile River. It was built between the years 1960 and 1970 and was opened on July 21, 1970. The chief engineer behind the Dam was Osman Ahmed Osman and its chief architect was Walter Jurecka. 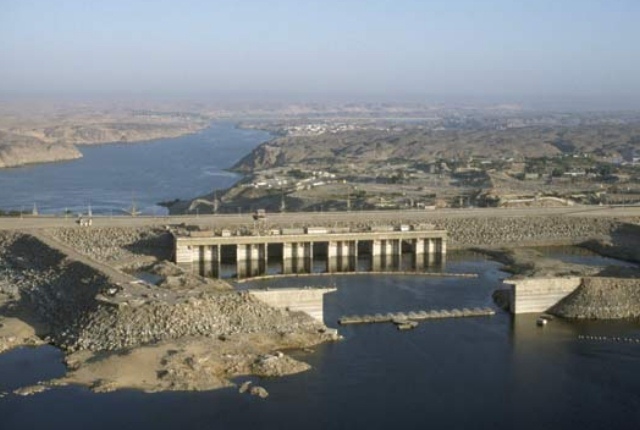 Aswan Low Dam was initially built in 1902 downstream but the significance of the new Dam eclipsed the previous one. Based on the success of the earlier Low Dam the construction of the New Dam became a high priority for the government after the Egyptian Revolution of 1952, since it had a capability to better control flooding, provide more water for irrigation and also generate hydroelectricity and was seen as crucial for the desired industrialization of Egypt. Just as expected, the High Dam has made a huge impact on the overall economy and culture of the country. Egypt’s center for beach fun is the South Sinai region on the Sinai Peninsula. Sharm el-Sheikh is a European-style resort full of luxury hotels, international restaurants, and bags of entertainment options. Dahab is a low-key beach town with a budget traveler heart, which is just as much about desert excursions and adventures as the sea. Up the coast, between the port town of Nuweiba and the border town of Taba, are the bamboo hut retreats that offer complete get-away-from-it-all respites from life. Wherever you choose, the South Sinai is all about diving. The Red Sea is one of the top diving destinations in the world, and the South Sinai region is home to much of the. You also get to see the ancient Mount Sinai. Mount Sinai or Mount Horeb is a huge mountain in the Sinai Peninsula in Egypt and is a possible location of the biblical Mount Sinai and thus is an extremely significant and holy site for all those who belong to the Abrahamic religions. According to the religions of Christianity, Jewish and Islam, the biblical Mount Sinai was the exact place where Moses recognized the Ten Commandments. 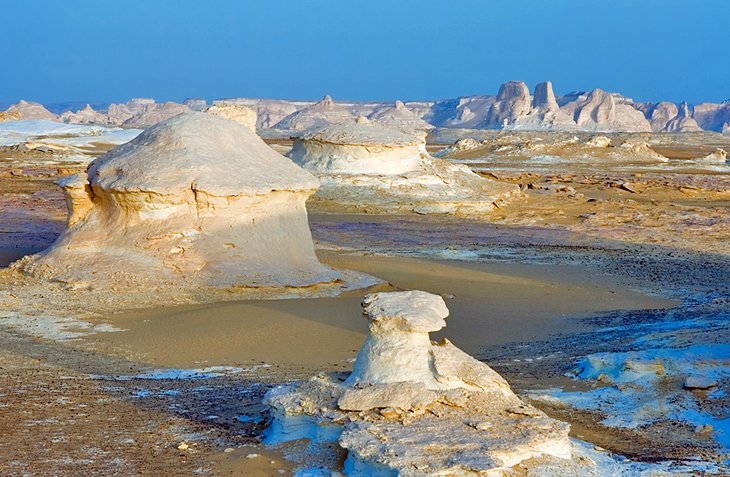 Egypt’s kookiest natural wonder is the White Desert where surreally shaped chalk mountains have created what looks like a snowy wonderland in the middle of the arid sand. The landscapes here look like something out of a science fiction movie with blindingly white boulders and iceberg-like pinnacles. For desert fans and adventurers, this is the ultimate weird playground, while anybody who’s had their fill of temples and tombs will enjoy this spectacular natural scenery. The Giza Pyramid Complex is an archaeological site of great historical importance situated on the Giza Plateau, very close to the capital city of Cairo. 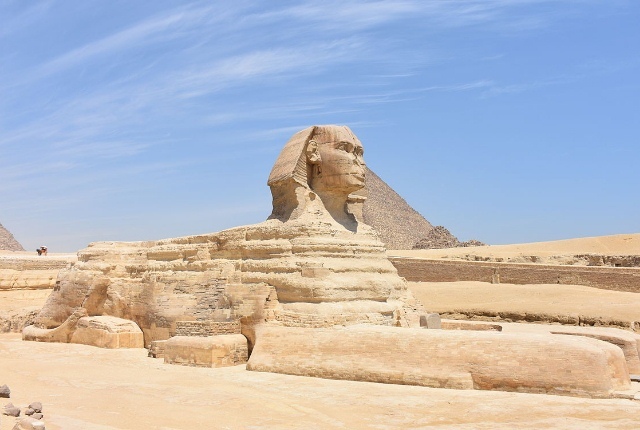 It consists of three ancient pyramid complexes, known as the Great Pyramids, the huge sculpture called as Great Sphinx, numerous cemeteries and a worker’s village. It’s exact location is approx. 9 km west to the river Nile, at the old town of Giza and about 13 km from the Cairo city centre in the Libyan Desert. Great Sphinx of Giza popularly referred to as “The Sphinx”, is a statue made of limestone portraying a reclining sphinx which is an ancient mythical creature that has the body of a lion and head of a human. The face of the Sphinx is commonly believed to be of the Pharaoh Khafre. It is facing from west to east and stands on the Giza Plateau on the western banks of the river Nile in the city Giza. Abu Simbel Temples are two gigantic rock temples at a place called Abu Simbel in Nubia in southern Egypt. These are situated 230 km southwest of the city of Aswan, on the western banks of Lake Nasser. The twin temples were initially engraved on the mountainside by the Pharaoh Ramesses II in the 13th century B.C. as an eternal monument for his queen Nefertari and himself, and to honor his victory at the battle of Kadesh. 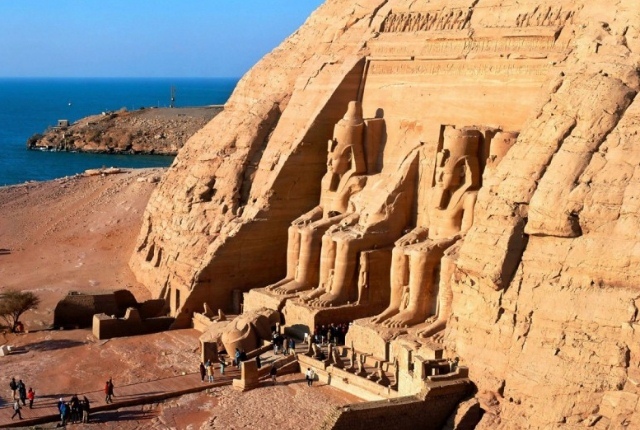 Even in a country festooned with temples, Abu Simbel is something special. This is Ramses II’s great temple, adorned with colossal statuary standing guard outside, and with an interior sumptuously decorated with wall paintings. Justly famous for its megalithic proportions, Abu Simbel is also known for the incredible feat, which saw the entire temple moved from its original setting – set to disappear under the water because of the Aswan dam – during the 1960s in a massive UNESCO operation that took four years. Karnak is a building complex in Luxor, Egypt. 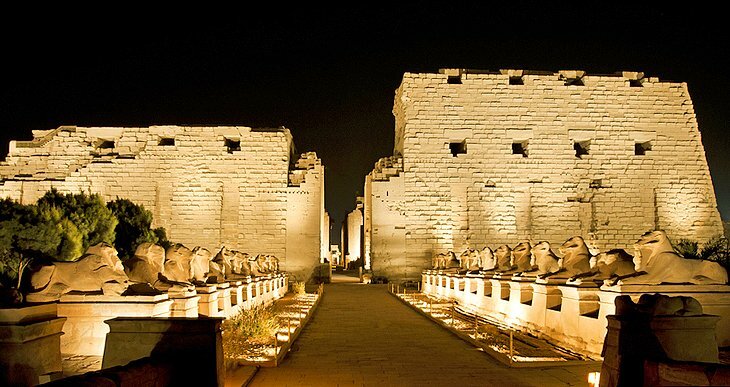 It is also known by the name of ‘The Karnak Temple Complex’ and consists of a large variety of decayed temples, pylons, chapels and other buildings. Main construction of the building began during the reign of Senusret I in the middle kingdom, although many of the exterior buildings actually date from the New Kingdom. The Karnak complex contributed to the name of the surrounding nearby modern village of El-Karnak which is just two and a half kilometer north of Luxor. Famed for the Valley of the Kings, Karnak Temple, and the Memorial Temple of Hatshepsut, the Nile-side town of Luxor in Upper Egypt has a glut of tourist attractions. This is ancient Thebes, powerbase of the New Kingdom pharaohs, and home to more sights than most can see on one visit. While the East Bank brims with vibrant souk action, the quieter West Bank is home to a bundle of tombs and temples that has been called the biggest open air museum in the world. Spend a few days here exploring the colorful wall art of the tombs and gazing in awe at the colossal columns in the temples, and you’ll see why Luxor continues to fascinate historians and archaeologists. 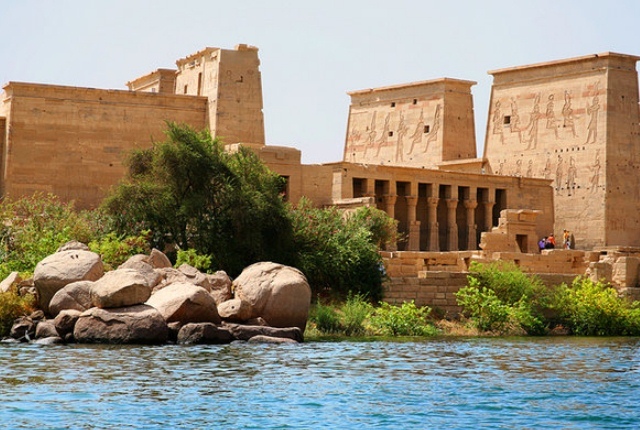 Philae is a small island in the lake of Aswan Low Dam and is downstream of the Aswan Dam and Lake Nasser. It was founded during 380-362 BC in the Nubia region and was later abandoned in the 6th century AD. It was designated as a UNESCO World Heritage Site in the year 1979. The island is now open to tourists and attracts thousands of visitors each year. 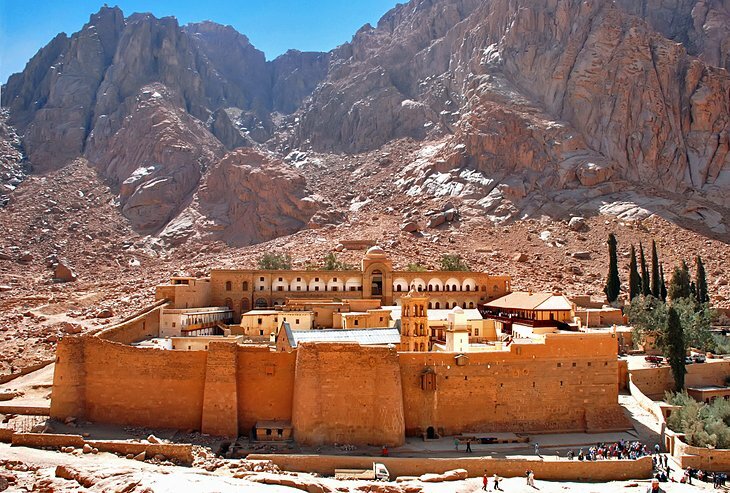 One of the oldest monasteries in the world, St. Catherine’s stands at the foot of Mount Sinai, where Moses is said to have received the Ten Commandments. This desert monastery is home to an incredible collection of religious iconography, art, and manuscripts (some of which can be seen in the on-site museum) as well as the home of the burning bush. 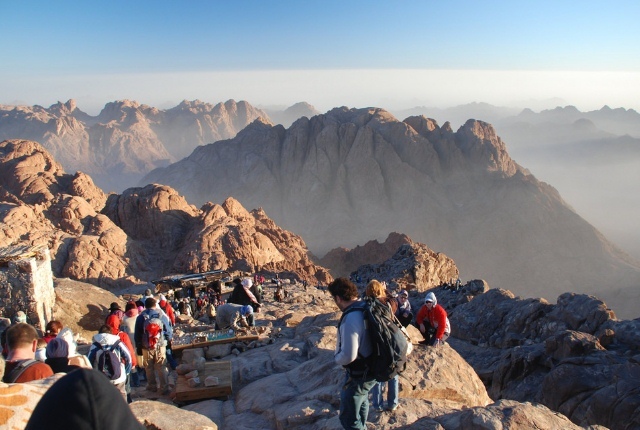 For most visitors here, a trip to St. Catherine’s also involves a hike up Mount Sinai to see sunrise or sunset. Take the camel path for the easy route or climb the famous Steps of Repentance if you want better views. 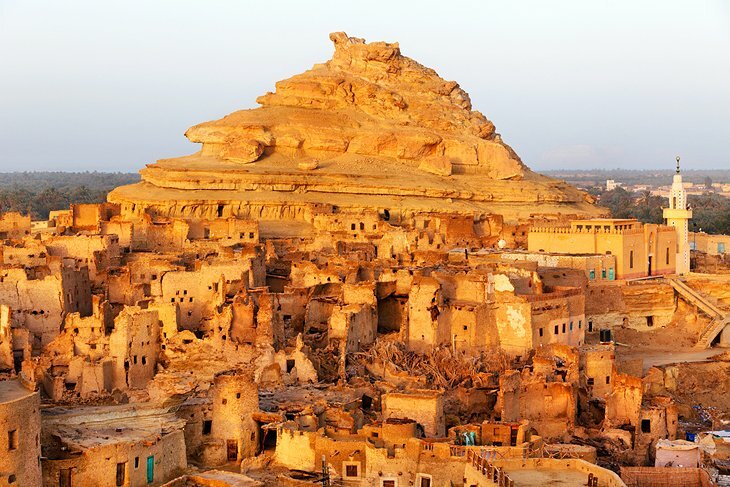 Way out west, Siwa is the tranquil tonic to the hustle of Egypt’s cities. This gorgeous little oasis, surrounded by date palm plantations and numerous fresh water springs, is one of the Western Desert’s most picturesque spots. The town is centered around the ruins of a vast mud-brick citadel that dominates the view. This is a top spot to wind down and go slow for a few days as well as being an excellent base from which to plan adventures into the surrounding desert. The atmospheric, narrow lanes of the capital’s Islamic Cairo district are crammed full of mosques, madrassas (Islamic schools of learning), and monuments dating from the Fatimid through to the Mameluke eras. This is where you’ll find the labyrinth shopping souk of Khan el-Khalili where coppersmiths and artisans still have their tiny workshops, and stalls are laden with ceramics, textiles, spice, and perfume. Surrounding the market is a muddle of roads, home to some of the most beautiful preserved architecture of the old Islamic empires. There is a wealth of history here to explore. Visit Al-Azhar Mosque and the dazzling Sultan Hassan Mosque, and make sure you climb to the roof of the ancient medieval gate of Bab Zuweila for the best minaret-speckled panoramas across the district.